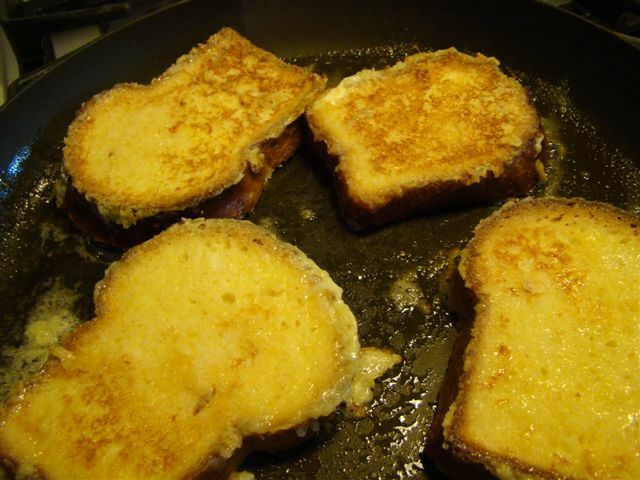 We’re more of a pancake and waffle household, but I enjoyed French toast when I was a kid. This week’s recipe for French Fridays with Dorie was for a sugar-coated version. I gave it a try. I picked up a mini-loaf of brioche at Iggy’s, perfect for French toast, sliced it up, and left it out overnight to get stale. Pretty simple. You make an enriched custard with cream, sugar, and extra egg yolks, in addition to the milk and eggs of my youth. The bread soaks a few minutes on each side. Then, the bread cooks in butter sprinkled with sugar. 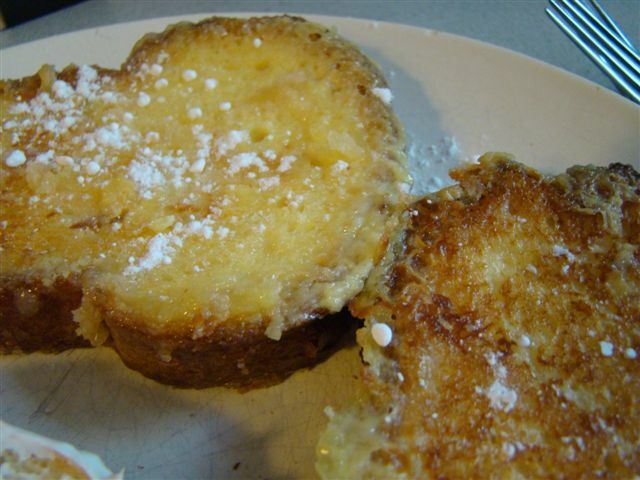 The sugar caramelizes and gives the eggy bread a nice finish. The final touch is a sprinkle of powdered sugar. Initially, I was going to make a single serving, but to my surprise, Howard wanted some for breakfast too. It was good, though I liked it more than he did. I think we’ll go back to pancakes and waffles, even though this was a nice change. There’s not too much else to say, so I’ll be brief this week. I hope all my American friends had a wonderful Thanksgiving holiday! To see the other Doristas’ verdicts on this one, check out their links here. If you’re interested, you can find the recipe in Dorie Greenspan’s book Around My French Table. This week’s recipe for French Fridays with Dorie was barely a recipe. The selection was Dieter’s Tartine, an open-faced sandwich that Parisian women enjoy at the café next door to the famous Poilâne bakery. I had no time for shopping this week, so took some liberties to work with what I had on-hand. For the bread, I used toasted a slice of the sourdough rye bread I usually have for breakfast. For the spread, I used goat cheese. 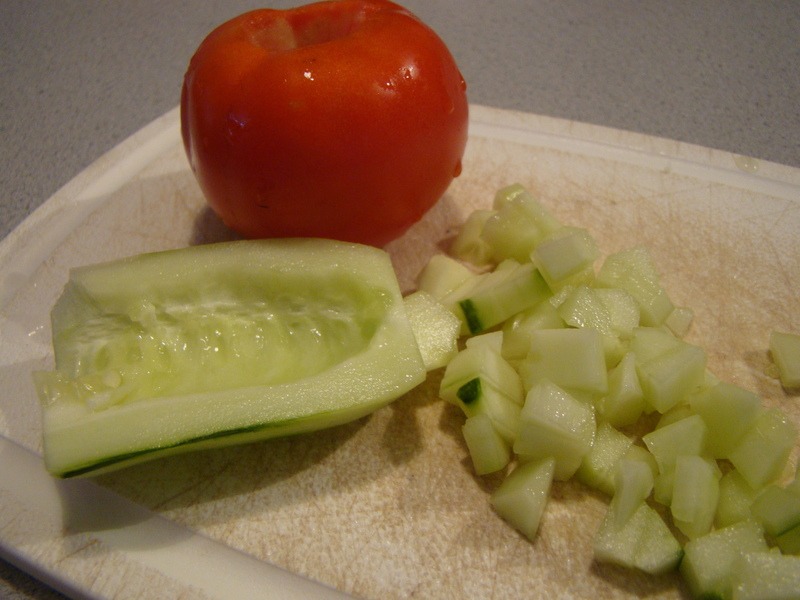 I topped this with the recommended tomato and cucumber cubes, which were part of this week’s farm share, simply seasoned with salt and pepper. Finally, I sprinkled it all with herbes de Provence. I did not have this for lunch, but rather for breakfast. Actually, my typical breakfast is toast with cheese, often goat cheese, so the fresh summery salad on top was an interesting addition to something I eat all the time. The tartine wasn’t spectacular, but it was good. It would never satisfy me for lunch, but for breakfast, I enjoyed it. 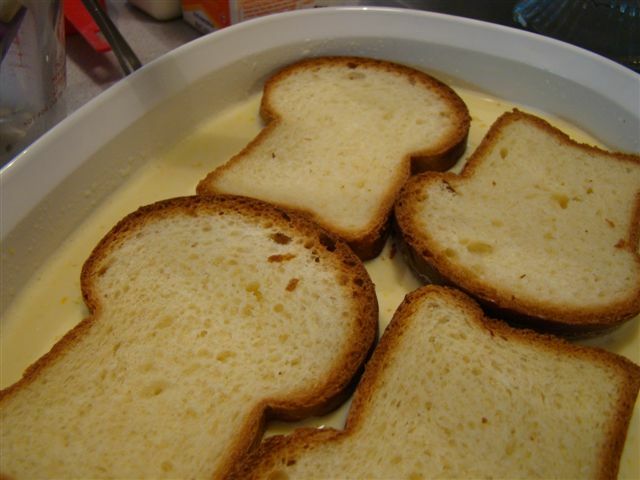 At some point, I’ll might try this with fromage blanc, once I find some, because I’ve never tried that kind of cheese before. I won’t even try to make my own substitution because I cannot bear the sight of cottage cheese. The thought of actually ingesting it would push me over the edge. 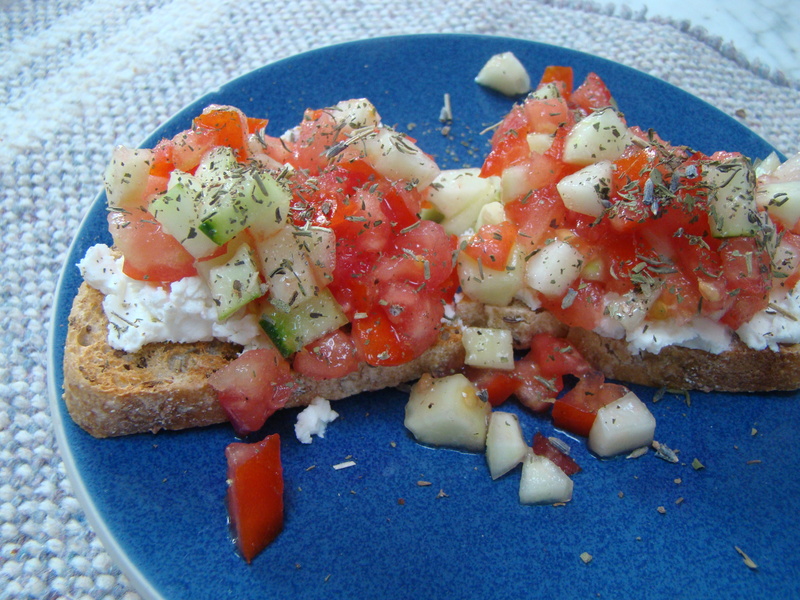 To see what the other creative Doristas’ did with their tartines, check out there links here. You can always find the recipe in Dorie Greenspan’s book Around My French Table.